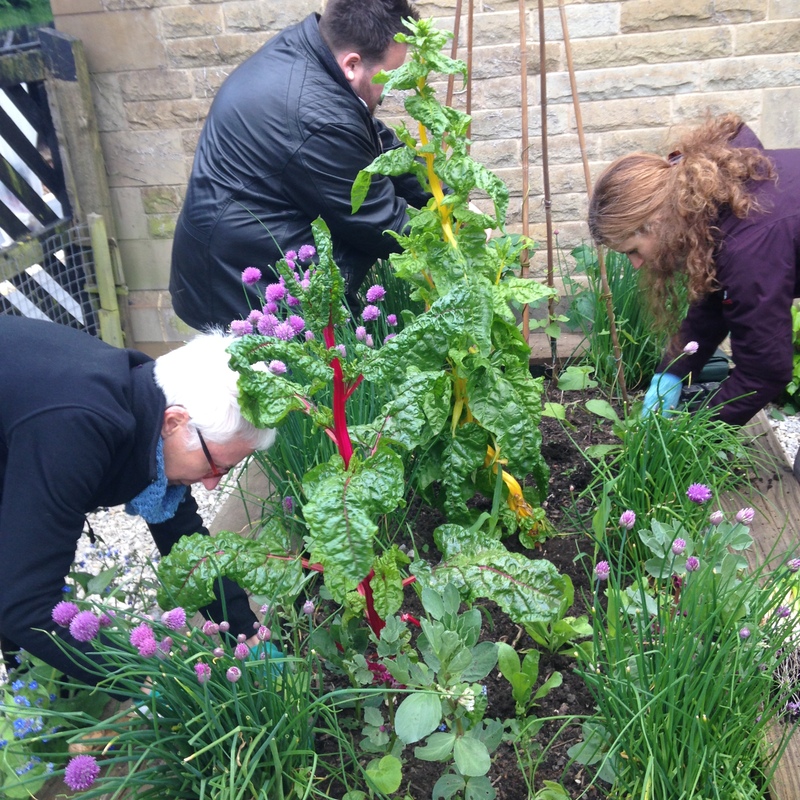 Veg on the Edge are a group of local residents that meet regularly throughout the year to maintain food growing spaces in Saltaire village. Activities include planting, watering, tidying, weeding, and of course sampling some of the fruits (and veg) of our labour! Everyone is welcome to take part, whatever your previous experience. You don’t need to make any special commitment, just come along as and when you would like to. In the growing season (April to September) we meet every Wednesday evening at 6pm. We also meet throughout the year on the first Sunday of each month at 11am. Gardening sessions begin in the Sunday School Garden in Caroline Street car park, and from there we move around to tend the other sites as needed. There are also opportunities to get involved behind the scenes. Join us at one of our friendly and sociable planning meetings to find out more. If you’d like to come to a meeting send us an email at hello@vegontheedge.org and we’ll let you know when and where the next meeting will take place. This entry was posted in News on July 25, 2017 by Veg on the Edge.